Yahoo has added yet another media star to its ranks: Katie Couric will join Yahoo early next year as its "global anchor." 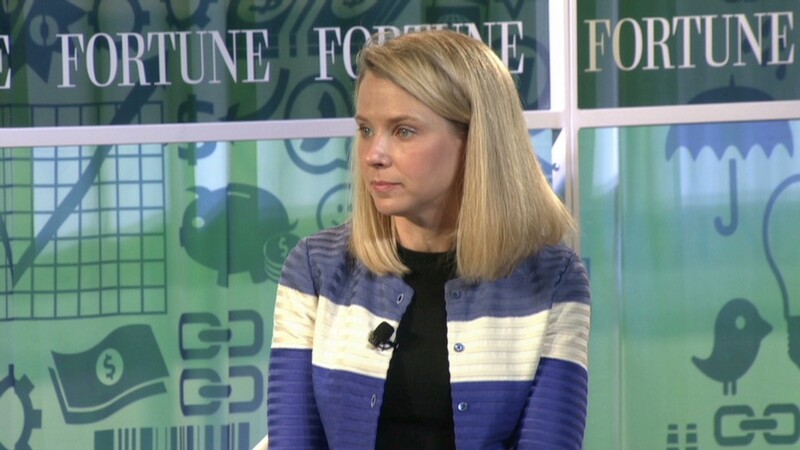 CEO Marissa Mayer confirmed Couric's hiring in a Tumblr post on Monday. The post didn't go into great detail about what Couric's role will entail, but she will be "the face of Yahoo News and [shoot] features for our homepage," Mayer wrote. Yahoo recently purchased Tumblr for $1.1 billion. The Yahoo (YHOO) deal appears to end the news role that Couric held at ABC News -- but she will continue to host her ABC daytime talk show, "Katie," which debuted in September 2012 and was renewed for a second season at the beginning of this year. The Hollywood Reporter posted an article on Friday saying Couric would host "a newsmaker interview program" to air on Yahoo's homepage. Tech blog AllThingsD first reported that Couric would be named "global news anchor." Couric brings a ton of star power to Yahoo, as Mayer appears to be on a quest for big-name media talent. Just last month, Yahoo announced it had poached longtime New York Times tech columnist David Pogue to head up its own consumer-tech coverage. Yahoo also recently hired former New York Times editor Megan Liberman to become the Yahoo News editor-in-chief, and New York Times Magazine's political correspondent Matt Bai as Yahoo News' national political columnist. In addition to the recent media bent, Mayer has also focused on video as a major pillar of Yahoo's content. A homepage news show from Couric would certainly fit into that philosophy. S&P Capital IQ analyst Scott Kessler said in a note to clients Monday that he thinks it makes sense for Yahoo to hire established media personalities like Couric in order to grab more traffic and attract advertisers. But, Kessler noted, details about specific coverage plans for Couric remain scant -- as well as how much cash Yahoo had to shell out to get her. Couric has worked as an anchor, host or news correspondent at most of the major broadcasters: Comcast (CMCSA)-owned NBC, CBS (CBS) and Walt Disney's (DIS) ABC. While at CBS, she became the first woman to be the solo anchor of an evening news program. The jump from ABC News to Yahoo isn't a giant leap for Couric: The two companies inked a news partnership back in 2011, and Couric's web show "Katie's Take" appears on both companies' sites. - CNN's Rachel Wells contributed reporting.